World Series of Fighting 9 goes down this weekend with one of the most stacked cards in the history of the promotion. Headlining the card are two title fights in the bantamweight and welterweight divisions. In the co-main event, fast rising star Marlon Moraes will look to add to his amazing World Series of Fighting run by winning the vacant bantamweight championship against Josh Rettinghouse. The night’s main event features a Welterweight Title bout between incumbent champ Steve Carl and challenger Rousimar Palhares. Carl won the World Series of Fighting Welterweight Title in his last bout, submitting favorite Josh Burkman in the fourth round. Palhares is making his World Series of Fighting debut after a successful run in the UFC. Still not sold on spending a few hours of your time on the event? Take a look below for five reasons to tune in to World Series of Fighting 9 this Saturday night on NBC Sports. The night’s opening bout on the main card will be an exciting featherweight contest between Mike Corey (12-3-1) and Shane Kruchten (11-2). Corey is coming off an impressive run in Bellator Fighting Championships where he lost a competitive decision to future Bellator Featherweight Champion Daniel Strauss. Still, Corey should be more well-known for his victories instead of his losses. Corey has quality wins over fellow World Series of Fighting competitor Brian Cobb and Bellator mainstay Ronnie Mann. In addition to his quality wins, Corey finishes the fight in more than half of his victories. With six submission wins and one knockout win, Corey is a threat wherever the fight goes. Corey’s opponent, Kruchten, enters his World Series of Fighting 9 bout on an amazing eleven fight win streak which includes 6 wins by submission and 3 via knockout. The San Diegan Kruchten is always a gritty competitor and will open up the night’s main card with a bang against Corey. Make sure you tune in for the whole event because this is a fight that you will not want to miss. 4. Can Yushin Okami Continue His Dominance in World Series of Fighting? Yushin Okami (29-8) was the face of Japanese MMA in the UFC for many years, until a 3-3 skid led to his release from the promotion. Okami’s 3-3 skid is not that bad when you look at the names he beat and lost against. Okami’s three victories were against the likes of Hector Lombard, Alan Belcher, and Buddy Roberts. Lombard is a former Bellator champion and is revered as one of the most dangerous men in mixed martial arts. 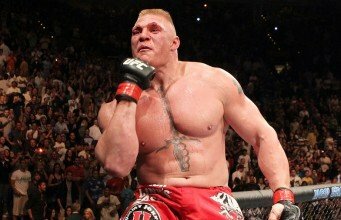 Belcher is a UFC mainstay and is considered one of the most devastating strikers in the middleweight division. Okami’s losses came at the hands of the greatest mixed martial artist of all time, Anderson Silva, and top ten middleweights Jacare Souza and Tim Boetsch. While a .500 winning percentage in six fights doesn’t seem great, Okami has nothing to be ashamed of as he’s easily one of the greatest fighters to come from the country of Japan and his last six fights were against the division’s best. With the UFC behind him, Okami will now turn his sights to winning the currently vacant World Series of Fighting Middleweight Title. The first road block on Okami’s way to championship gold is Svetlozar Savov (12-4), a dangerous submission artist who has a knack for the guillotine choke. Okami is rightfully the favorite, but the 25 year old Savov could make the Japanese fighter’s World Series of Fighting debut a miserable one. Tune in to see if Okami can return to dominance and pick up the 30th win of his career or if Savov could pull-off the upset of the night. Standing opposite Burkman will be Tyler Stinson, a prolific finisher who has only seen the judges scorecards 6 times in 35 fights. Stinson is currently riding a three fight knockout streak which includes UFC veteran Rob Emmerson among his victims. No matter where the fight goes, Stinson is always a threat, but if the fight remains standing Burkman needs to mind his P’s and Q’s. If you’re a fan of great mixed martial arts and brutal finishes, this fight between Burkman and Stinson is one you need to watch. Marlon Moraes (12-4-1) has been with World Series of Fighting since the promotion’s inaugural event. Many thought that Moraes was signed to be a sacrificial lamb for MMA legend Miguel Torres, but the Florida based fighter had other plans. Moraes bested Torres via split-decision in one of the promotion’s biggest upsets to date. Moraes has remained undefeated in the promotion since his bout with Torres, knocking out Tyson Nam and Carson Beebe and decisioning Brandon Hempleman. Now Moraes is just one win away from his ultimate goal, the World Series of Fighting Bantamweight Championship. Standing in his way is Josh Rettinghouse (10-2) who bested Alexis Villa by unanimous decision in his last bout. Eight of Rettinghouse’s 10 wins have been finishes with 6 via submission and 2 via knockout. If Moraes can pull off the victory on Saturday night, he’ll be the Cinderella story that World Series of Fighting needs. The main event of the evening is a World Series of Fighting Welterweight Title bout between champion Steve Carl (21-3) and Rousimar Palhares (15-5). This bout is loaded with questions and storylines that make it among the most intriguing bouts of 2014. To start, Palhares is making his World Series of Fighting debut and is walking right into a title shot. Palhares is a great fighter and very deserving of the shot, but his tainted past makes him a bit of a question mark for Saturday night. Palhares tested positive for elevated testosterone after his UFC bout with Hector Lombard and was asked by the Nevada State Athletic Commission to take a pre-fight drug test. 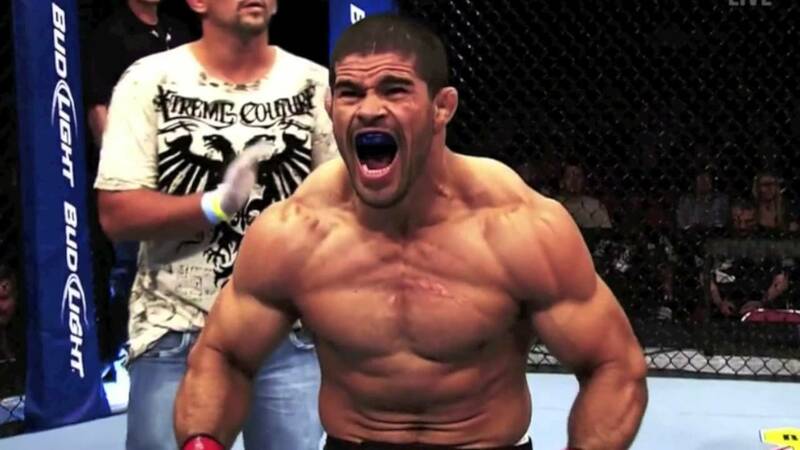 Should Palhares fail that drug test, he will not compete on Saturday night and will be replaced by Tyler Stinson. In addition to the failed drug test, Palhares has a knack for hanging on to submission for longer than necessary. Palhares was suspended after his 2010 win over Tomasz Drwal for holding onto a heel hook for too long and later cut from the UFC for failing to let go of the same submission after Mike Pierce tapped out. Palhares has since said that these issues are behind him, but there is no telling what will happen in the heat of battle. The champion, Carl, also brings in his own storylines that should make you eager to watch this Saturday night. Carl is easily one of the best mixed martial artists in the world that most MMA fans have yet to hear of. With impressive wins over the likes of Josh Burkman, Tyson Steele, Tyler Stinson, and Brett Cooper, Carl has a resume that can match-up with MMA’s elite. If you’re a fan of great mixed martial arts and are looking to fill your MMA appetite this weekend, World Series of Fighting 9 is the card for you. You can catch all the action this Saturday night on NBC Sports at 9 PM ET/ 6 PM PT. For all of your World Series of Fighting 9 coverage, visit SciFighting.com.